Dress Your Best This Holiday Season With @GOLDTOE! With cooler weather finally upon us, give your loved ones a gift that’s both fun and functional: a stylish pair of Gold Toe socks, shirts or boxers!! Whether you’re out and about for a night on the town or cozied up by a warm fireplace, they carry an assortment of styles fit for everyone, making for the ultimate socking-stuffer this holiday season! These shirts are made from AquaFX® responsive cotton that is moisture wicking and designed to respond to body temperature for Dry, Cool, Comfort! It featurs covered shoulder seams for a smooth and comfortable fit and tag free, lay flat neckline for comfort! Plus, the generous length stays tucked in! These boxer briefs also feature the AquaFX® responsive cotton and moisture wicking cotton designed to respond to body temperature for Dry, Cool, Comfort. Plus, the leg bands stay in place - NO ride up! 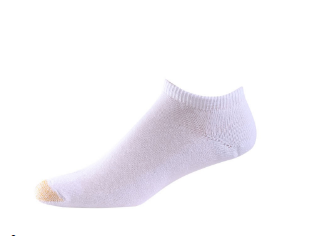 These socks feature a soft combed cotton for comfort and hydrotec moisture control. Plus, the antimicrobial protection keep socks fresh. The heels and toes are reinforced for longer wear and the spandex ensures a perfect fit. Gold Toe socks are so comfortable and last a long time! And for the cooler winter months, tights are a must! These tights feature a comfort waistband and opaque leg with a smooth and firm tummy look. Plus, they give the thighs a trimmed and tame look and the appearance of a lifted and sculpted bum. The 3D Stretch conforms to diverse body types for a Perfect Fit®! You can purchase all these Gold Toe products from the Gold Toe website.